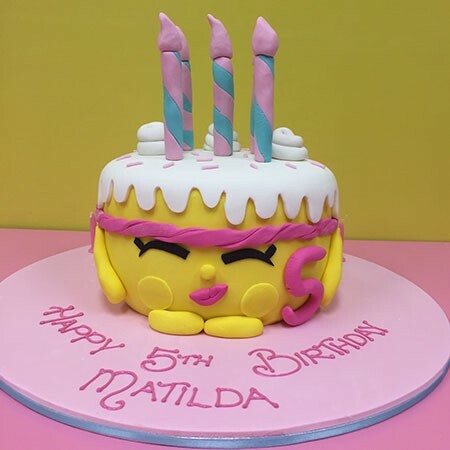 This Shopkins inspired Birthday Wishes cake will excite your little ones on their birthday this year. This adorable cake comes in 5 different flavours and is bound to impress your friends and family at your next event! This amazing fully iced Shopkins inspired Custom Cake will excite your little ones on their birthday this year. This adorable cake comes in 5 different flavours and tastes as good as it looks! The decorations are made entirely out of icing making for a fantastic, completely edible celebration cake that's bound to impress all of your family and friends.